Decorative Transom Panel, Wallington, Surrey. This clients front door scheme is already in place and is stunning. I was asked to design a transom panel and 2 smaller side panels to match the existing doors as closely as I could. 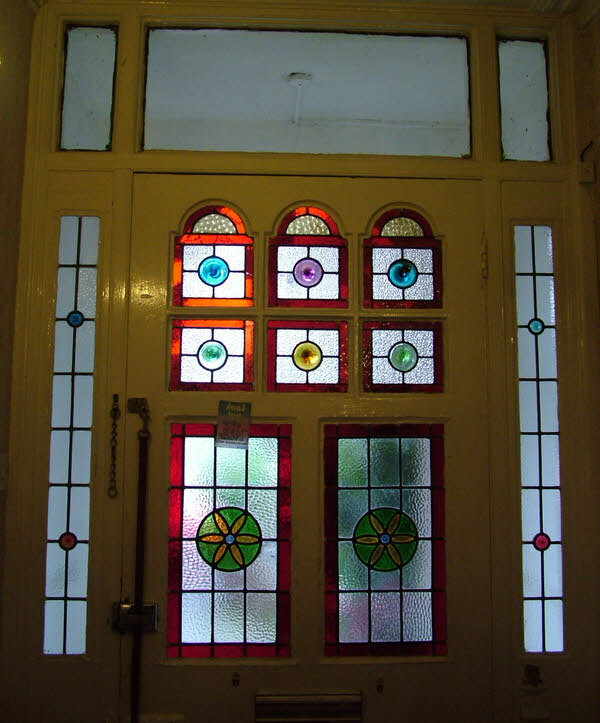 Once the colour and design was agreed upon I set about making the windows. 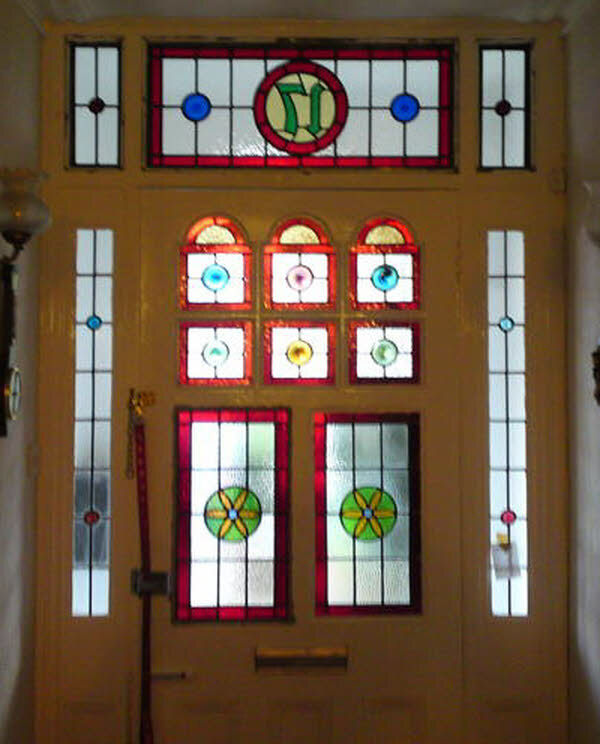 The house number is in green to pick up the glass in the door below and the borders are all of the same width in a rich ruby textured glass. I hope you agree that it finished off the entrance very well and was well worth doing!